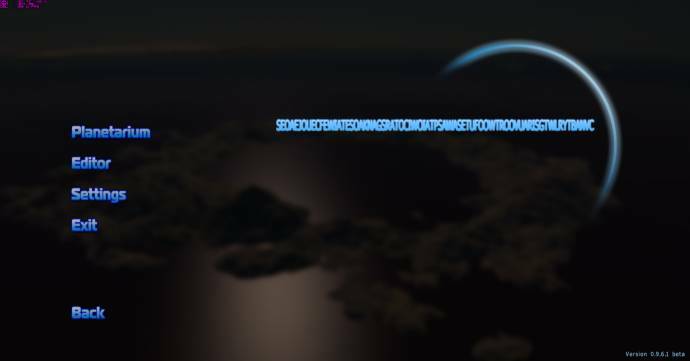 Forum » SpaceEngine » Feedback and Suggestions » Rename Space Engine in the future? Rename Space Engine in the future? Of course we call is Space Engine but are there like plans on renaming it in the future when the program has most of it's features that are still waiting to be implemented? I don't think so. Space Engine will probably be kept as the name of the engine itself, but the game spaceengineer plans to do with Space Engine may have an unique name that fits the gameplay. Some time ago I suggested the name "Starship Frontier" along with the dozen of other names from other forum members, but Space Engineer, fortunately, isn't going to rename project yet. I believe, however, it is possible in next major patch. Ugh, too much like Universe Sandbox. I like Space Engine. It's clear, precise and no other game uses that name, it just fits. Space Engine: ''Eternity'' version 1.0 might fit better. The name should stay "Space Engine"
The logo could be written with a capital E in the middle- spacEngine. I suppose the pronunciation remains the same. EDIT: I tried to think of a better name, but SpaceEngine (or spacengine) is really the best way to describe it. SpaceEngine: Or, an Exploratory Journey of our entire Cosmos Featuring Extraterrestrial Worlds in Addition to Earth, Stars of all Kinds, Nebulae and Galaxies, Stellar Remnants, and the Occasional Crash, in Which one is Able to Pilot Spaceships as well as Simply Explore the Universe, From our own World to Regions outside our Visible Universe, all Rendered in Splendid Graphics that will Likely Require you to buy a new Video Card. Or SEOAEJOUECFEWIATESOAKNAGSRATOCIWOIATPSAWASETUFOOWTROOVUARISGTWLRYTBANVC for short. Yes, we should re-name Space Engine to SOAEJOUECFEWIATESOAKNAGSRATOCIWOIATPSAWASETUFOOWTROOVUARISGTWLRYTBANVC. hahaha I vote for SEOAEJOUECFEWIATESOAKNAGSRATOCIWOIATPSAWASETUFOOWTROOVUARISGTWLRYTBANVC too ! ...not that it stands for anything. Or better yet, we could shorten it to one word, like that other person previously posted. Hey anonymousgamer, what software do you use for that on-screen display you have?